snips snippets: Finish it up Friday - the Dogwood Blossom edition! Finish it up Friday - the Dogwood Blossom edition! No chitter chatter today peeps, here she is! My finished Dogwood Blossom pillow! This was our first test project for the Penny Sampler Class and i'm glad i did this instead of the quilt. I will eventually make the quilt, but for now i have a fully finished project and it feels good! Now if only i had a proper 16 inch pillow form inside instead of the wads of folded up batting! It's not really working at making my pillow look her best. Shall we take a peak at her backside? Yep, i totally made a half size set of petals to use on the back and i love it! I used the sew and turn style of applique for the first time and it was so easy! And i also sketch stitched for the first time! Check it out! And another shot because i absolutely love sketch stitching now!! 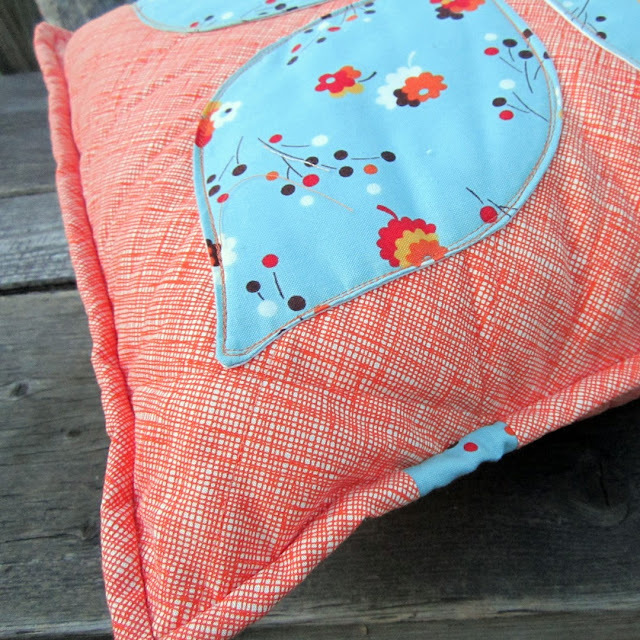 I don't generally put a binding on pillows but i though, hey why not, this is all about trying new things right?! So i did, yeah i know it's the same print as the pillow but i did add that little bit of the posy print! Quilted and sketch stitched by me on little old Ken with Mettler thread (don't remember the colour or type and i'm too lazy to go get the remainder of the spool). High fives for a fully finished project! 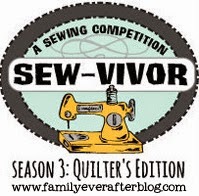 Linking up with the scrap bustin' Kelly for Needle and Thread Thursday! As well as with all the Friday Finishers over at crazy mom quilts! And in case that wasn't enough awesomeness for everyone i also started in on my first two blocks for my actual Penny Sampler quilt, so here's a couple of instagrams to pique your interest! Awesome!! Hoping to knock these off the list by end of day Friday! OOh the blossom cushion looks fabulous! Well done! 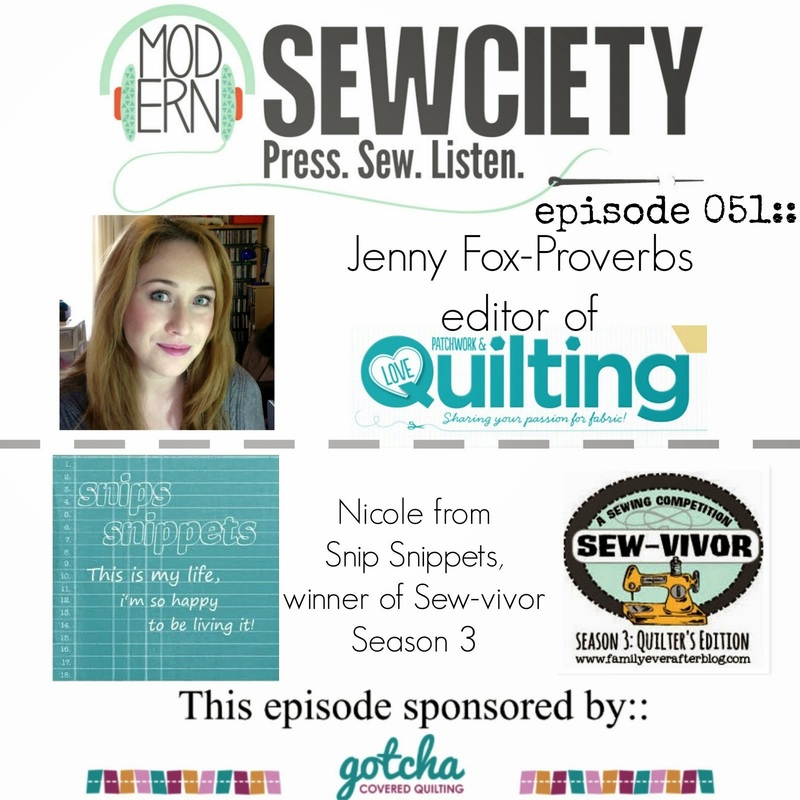 Love your sketch stitching! This is just beautiful! I love, love love the dogwood blossoms - I'm sure I'm going to get increasingly envious as I start seeing them pop up everywhere! :^) Your fabric choices are gorgeous and the sketch stitching looks great - it really looks like the Penny Sampler is going to teach everybody a lot! Love that cushion! Looks like you've got lots of fun projects on the go! Awesome cushion!!!! 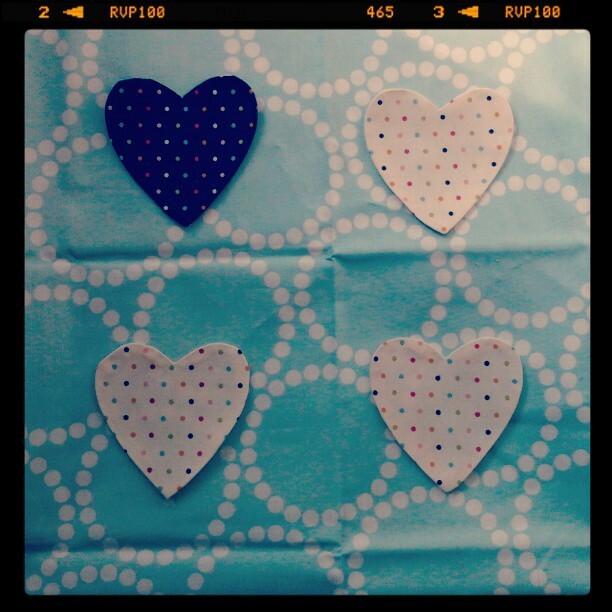 and why do i now feel like i must have the aqua/turquoise woodgrain and the cute polky dot fabric?!? Congrats on your finish. Looks great. It's awesome! I really like the matching binding. I think it adds something special without taking away from the rest of the pillow. I love the pillow!! The fabric is really cute and you did a great job. Awesome awesomeness!!! Love it. Really really love the small one too! I just may put a little one of those on the back of my quilt for a label. Maybe 25%. 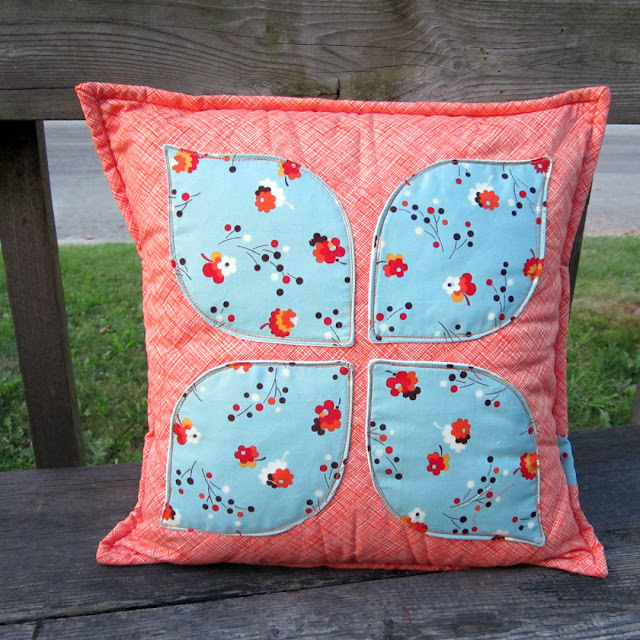 This pillow has such great colors, and I like the back as well as the front! Looks great - I love the mini petals! Great idea. 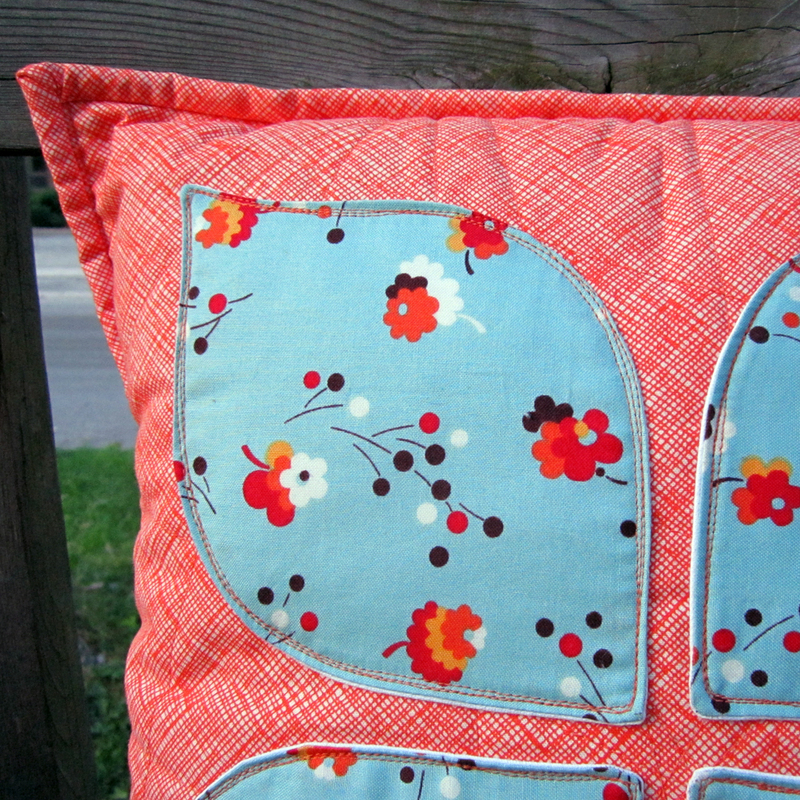 Love the cushion, especially the extra petals on the back! Love it! The little petal on the back are perfect! The pillow turned out so cute! Yep, love the sketch stitching! 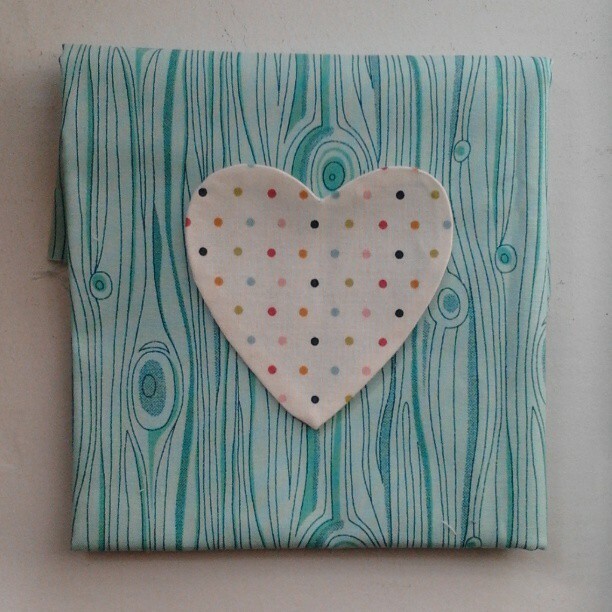 And that little heart on the faux bois print is adorable, can't wait to see what you're making with it. So cute! I love the smaller petals on the back. Nice touch. Can't wait to see how this all comes together! This pillow is SO GREAT, the colors, the applique! I am kicking myself for not doing the Penny Sampler, but I just have so much on the go already. Can't wait to see more! eeeek! The small petals on the back are the best thing ever. Love it. Your pillow is great. I LOVE the mini dogwood on the back! Thank you so much for your IG help on these blocks. I am headed for another re-do--that's what a class is, right, practicing until you get it right?! Awesome pillow! I love how you quilted the front.